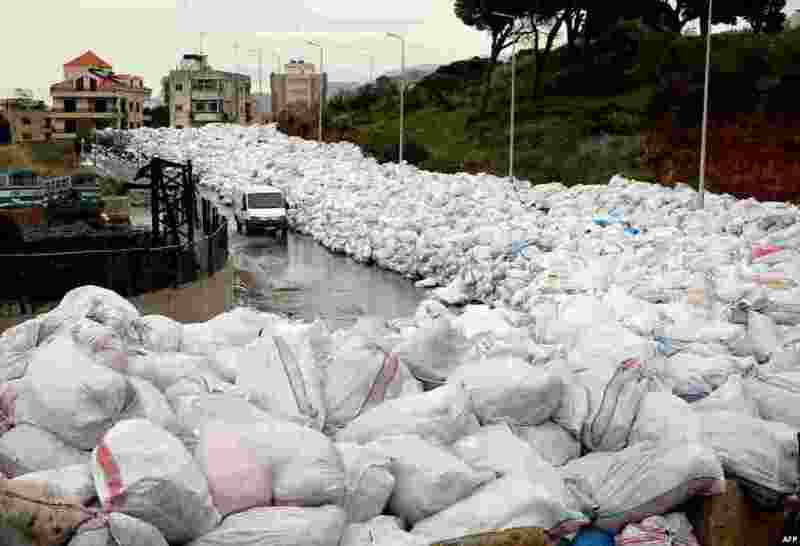 1 A van drives past piles of wrapped garbage blocking a newly-opened road in the town of Jdeideh northeast of Beirut, Lebanon. 2 An Iranian woman in Tehran holds up a poster showing Sheikh Nimr al-Nimr, a prominent Shi'ite cleric who was executed last week by Saudi Arabia. 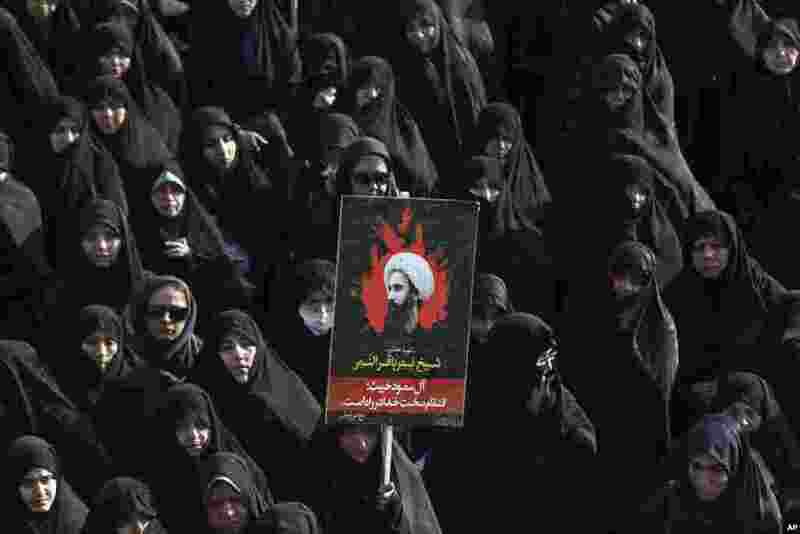 Allies of Saudi Arabia followed the kingdom's lead and began scaling back diplomatic ties to Iran after the ransacking of Saudi diplomatic missions in the Islamic Republic, violence sparked by the Saudi execution of al-Nimr. 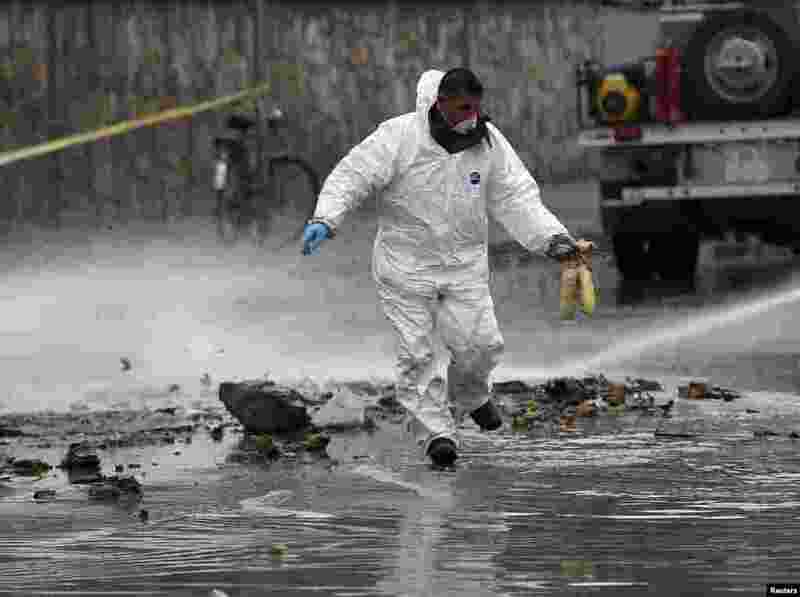 3 A member of an investigation team holds defused explosives at the site of a suicide attack in Kabul, Afghanistan. A suicide bomber in a car blew himself up close to a police checkpoint near Kabul airport but caused no other casualties, a police spokesman said. 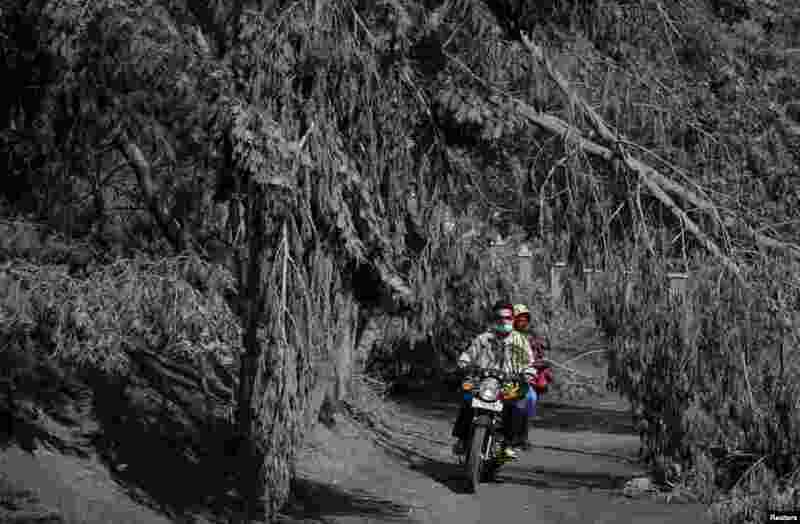 4 Villagers ride a motorcycles passing trees covered with volcanic ash of Mount Bromo during eruption at Ngadisari village in Probolinggo, Indonesia, in this photo taken by Antara Foto.